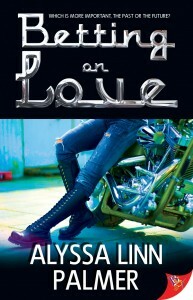 My lesbian biker romance is out! Check out BETTING ON LOVE today! 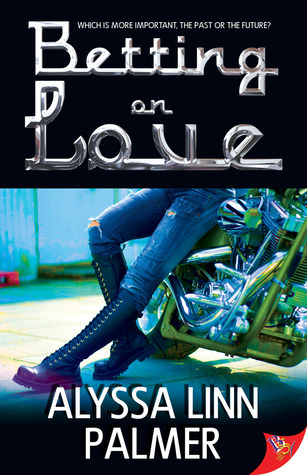 I’m delighted to announce that Bold Strokes Books have released my lesbian biker romance Betting on Love a couple of days early! Pick up an ebook, paperback, or ebook & paperback bundle at Bold Strokes’ website now. 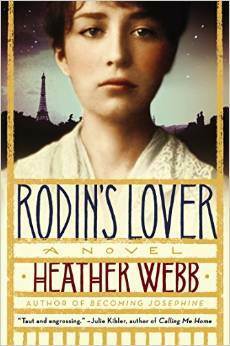 Win a copy of Rodin’s Lover in ebook or paperback (US/Canada only). Skip to the entry widget at the bottom of this post to enter! The story was fascinating, and it ranged from Camille’s adolescence until her tragic descent into mental illness. I hadn’t known that of her; such an unfortunate end to a very creative life. The story was a page-turner for me, and I read this book in one, blissfully uninterrupted, sitting. There aren’t too many books I can say that about. Camille’s path into sculpture, and the workings of an atelier, were my favourite parts of the book. That’s probably the art geek in me. But aside from that, I hoped and wished for Camille’s success, and felt her agonies and frustrations as my own, the sign of a well-written novel. I highly recommend it, and I know I will be picking up Heather Webb’s other work. and RODIN’S LOVER published by Plume/Penguin, a freelance editor, and blogger. 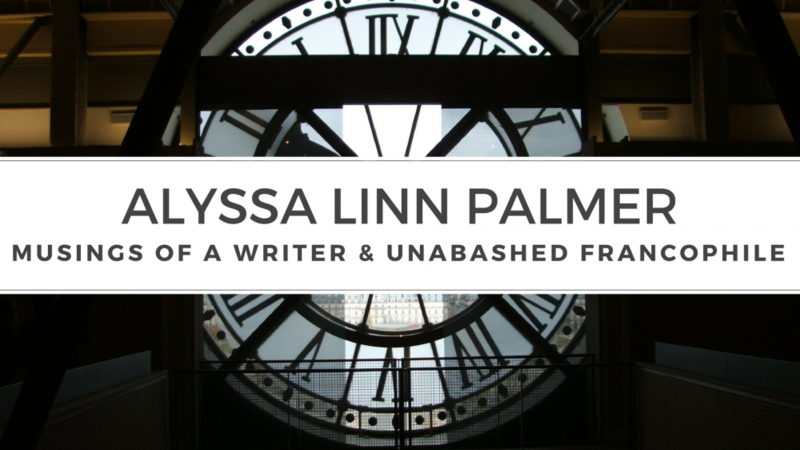 You may also find her contributing to award-winning writing sites including WriterUnboxed and RomanceUniversity.org. When not writing, Heather flexes her foodie skills and looks for excuses to head to the other side of the world. Ah, more Nico Sirsky. I’m finding I can’t quite do without this French police chief, nor without the twists and turns as he tries to figure out the solution. 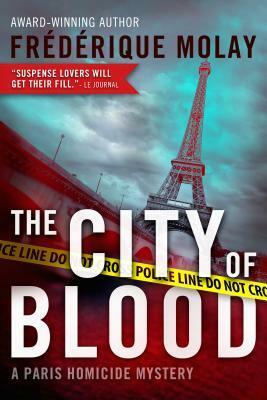 I think “City of Blood” is quite possibly my favourite of the three books in this series (in English) so far. My enjoyment began even before I started reading, as I chuckled over the French title for this book: Déjeuner sous l’herbe. I can understand why Le French Book renamed it for the English market, as I don’t know if the play on words would be apparent to someone who doesn’t speak French (or who isn’t familiar with the piece “Déjeuner sur l’herbe” by Edouard Manet.) And as the subject of the book was a dinner party buried and then excavated, it made perfect sense. So, plays on words aside, let me talk about the book. A French performance artist had a dinner party at La Villette park in Paris thirty years ago, and then buried it, as a sort of time capsule. When the banquet table and such is uncovered, a body (or what’s left of one) is discovered. It is up to Nico Sirsky and his team to figure out who it is, and how it happened. But, as he’s discovering clues, new murders are occurring in the park at La Villette, complicating matters. It’s always difficult to describe a mystery/thriller novel without giving away too many details. The tension builds, the mind whirls with the possibilities, and the end is satisfying. I’m hoping that Le French Book will put out more from Mme. Molay, as I can’t quite get enough of her books. Footsteps, the stench of a cigar. Chief Nico Sirsky looked up from his files and glanced at his watch: 1:11 p.m. Deputy Police Commissioner Michel Cohen, his boss, walked into the office without knocking. “If I were you, I’d turn on the news,” Cohen advised. No hello. It was an order. Nico grabbed the remote control and pointed it at the television. The news anchor appeared. Black eyeliner and smoky shadow accentuated her eyes. Not a hair was out of place. In a panel at the bottom of the screen, a reporter was clutching his microphone. Directly behind the reporter was the Géode, the gigantic steel globe at the Cité des Sciences et de l’Industrie. The huge Cité complex in northeast Paris encompassed a science, technology, and cultural center, a museum, and much more. It attracted visitors from around the world. Nico raised the volume. “I can only imagine the consternation there,” the newscaster lamented, a touch theatrically. The camera panned to an open pit next to the Canal de l’Ourcq in the Parc de la Villette. The camera zoomed in slowly on the pit. It was pos- sible to make out dirt-covered tables, dishes, and bottles. The shot then turned into a full close-up of an inconceiv- able sight. “You see what all the commotion’s about?” Cohen asked. Several men in orange vests were pushing back spec- tators on the Prairie du Cercle meadow and forming a security perimeter. Those were the local precinct officers, who would guard the crime scene and take down witness accounts. Normally, they would then call in the public prosecu- tor and his underlings—“the devil and his minions,” as Cohen liked to put it. That was in theory. But this was not a normal situation. The television news had already tipped everyone off, and Nico was betting that Christine Lormes, the public prosecutor, was putting on her coat at that very minute. Nico could forget about his sandwich. The week was off to a bad start. Called “the French Michael Connelly,” Frédérique Molay graduated from France’s prestigious Science Po and began her career in politics and the French administration. She worked as chief of staff for the deputy mayor of Saint-Germain-en-Laye, and then was elected to the local government in Saône-et-Loire. Meanwhile, she spent her nights pursuing a passion for writing she had nourished since she wrote her first novel at the age of eleven. Today’s the day! My post is up on the Lesbian Fiction Appreciation Event! Go visit when you get a chance, and comment for a chance to win a copy of my new, not-yet-released, book BETTING ON LOVE. Coming soon: The Lesbian Fiction Appreciation Event! This year, I am participating again in the Lesbian Fiction Appreciation Event, hosted and organized by the excellent KT Grant. It starts on January 11th, and goes until the 31st. (My post will be on January 15th, in case you’re wondering.) Click on the image below for more information on the event, and join us!